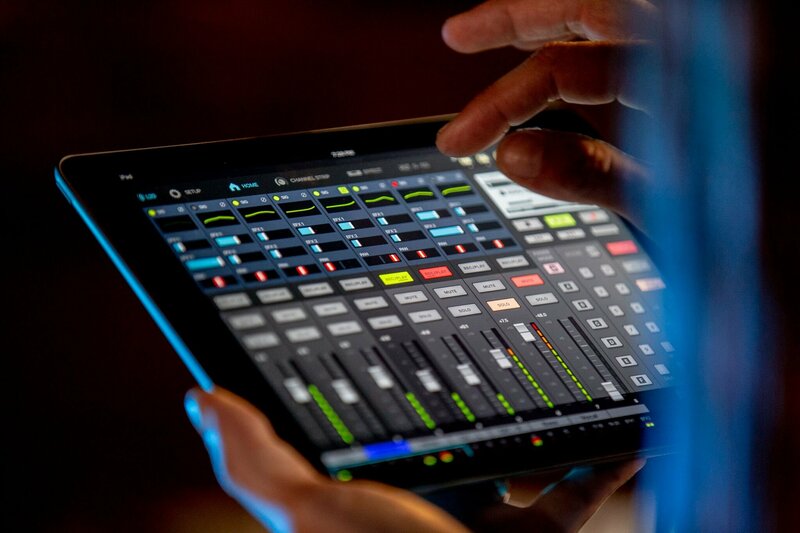 The Zoom LiveTrak L-20 offers everything a creator needs to mix, monitor, and record complex productions. 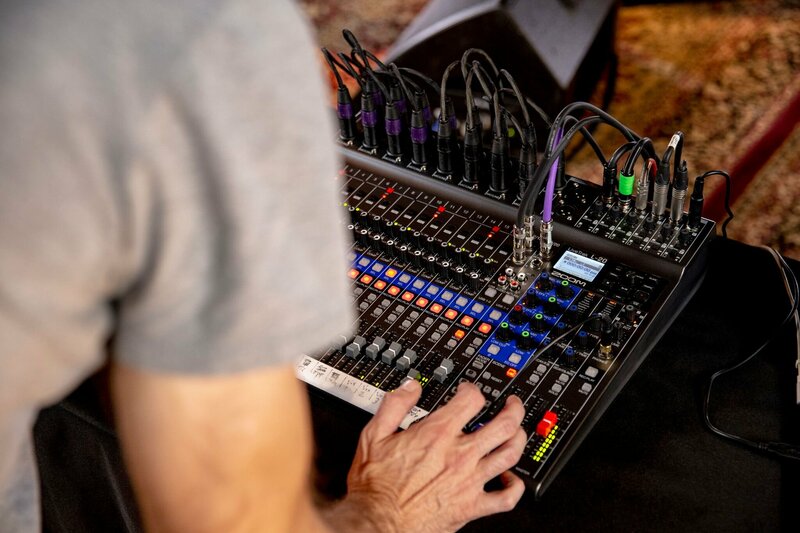 This new digital console is built for bolder, more powerful arrangements with its 20 discrete audio channels and six individual custom monitor mixes. 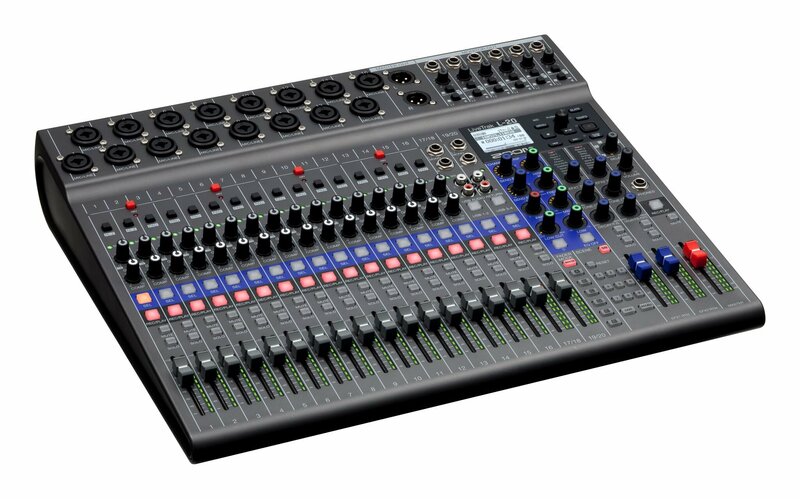 All of the 20 inputs on this mixer include a channel fader as well as dedicated mute and solo buttons. 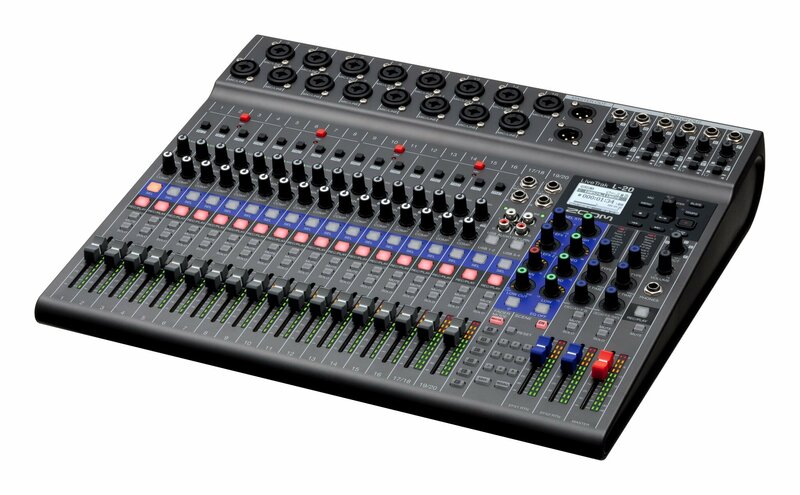 The 16 mono inputs include single-knob compression and gain control. Conveniently record or playback individual channels using the "Rec/Play" button. Each channel is equipped with a smooth 3-band mid-parametric EQ and a variable frequency low-cut. Apply Channel Strip settings to the selected channel using the "Select" button. This mixer offers 20 built-in effects with adjustable parameters. Choose from delay and reverb effects, and then apply them to any channel using two dedicated EFX busses. The combo inputs provide broad connectivity and support XLR or 1/4-inch connections. Channels 1-2 offer Hi-Z inputs for electric guitar or bass. Channels 17/18 and 19/20 have TS line connectivity for keyboards and other audio devices, as well as RCA inputs. Navigation and display is easy with the LiveTrak L-20’s bright, backlit LCD screen and encoder knob that lets you access an intuitive menu to create new projects, recall previous projects, and customize your recorder settings. Use the built-in slate mic to record comments or talk-back. It is equipped with a push to tempo button to program the metronome to your desired tempo. Transport controls include Record, Play/Pause, Stop, Fast forward, and Rewind. 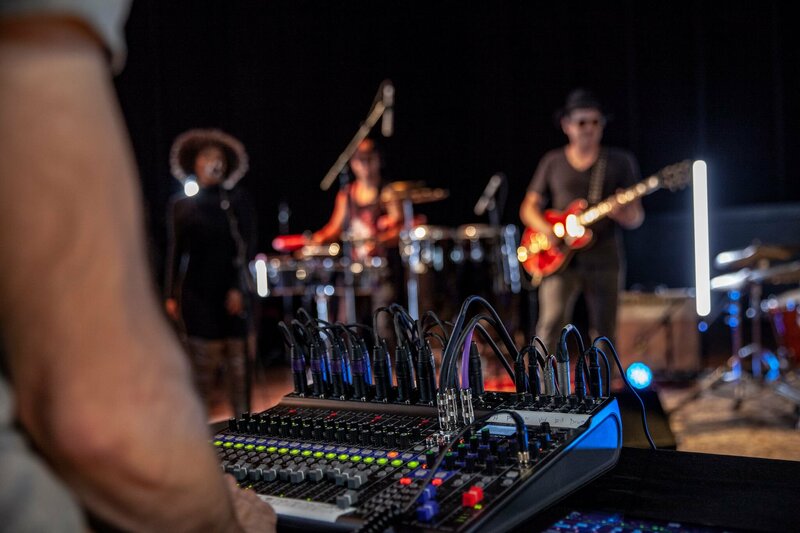 The innovative overdub button allows you to record additional tracks to your current project. The “Fader Mode” buttons allow you to design custom mixes for both the master and monitor outs. Use all six custom monitor mixes and for each output, easily switch between a powerful headphone output and a balanced line output for stage monitors. 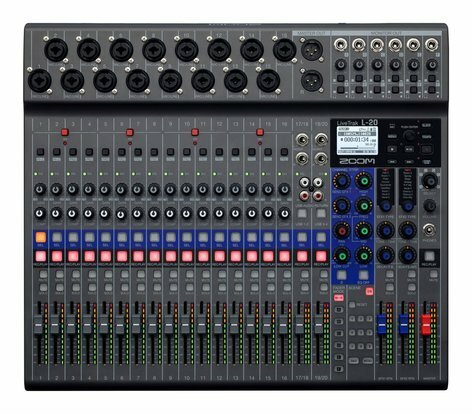 This mixer includes a dedicated headphone output for front-of-house, enabling them to monitor any of the custom sub mixes as well as the master mix. Create and save up to nine different scenes to recall fader position, EQ settings, pan, mute, and more.